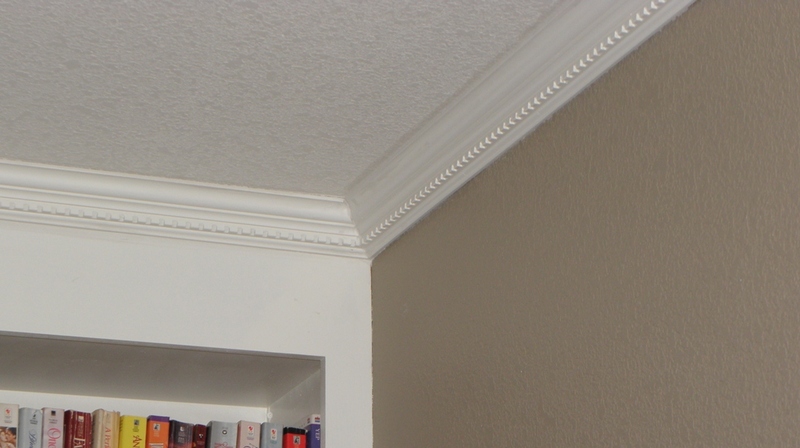 We picked up the crown molding for the bookcases and decided we liked it so much we’re going to go all the way around the room (so we went back and picked up some more). That will need to be primed and painted before we install it. 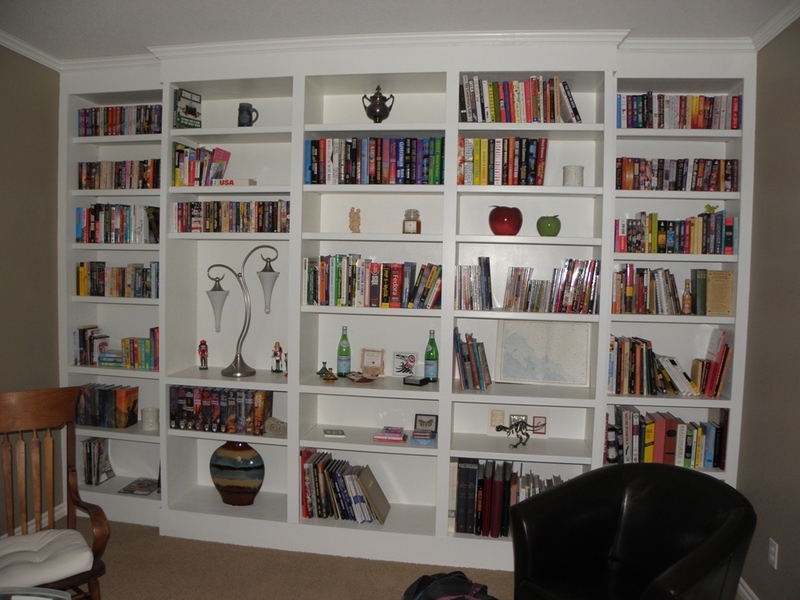 In the meantime, we finally unboxed our books from the move and loaded up the shelves. Laura then did some shopping for “decorations” for some final touches. If you remember the discussion I had about whether or not to move the power outlet to the baseboard (and the decision against it), we ended up getting a lamp to sit above that on the “permanent” shelf. I had to cut a hole through the shelf and installed a white plastic grommet (like you see in the top of a work desk) to allow the cord to go down to the bottom (and behind the lower shelf, which is adjustable). 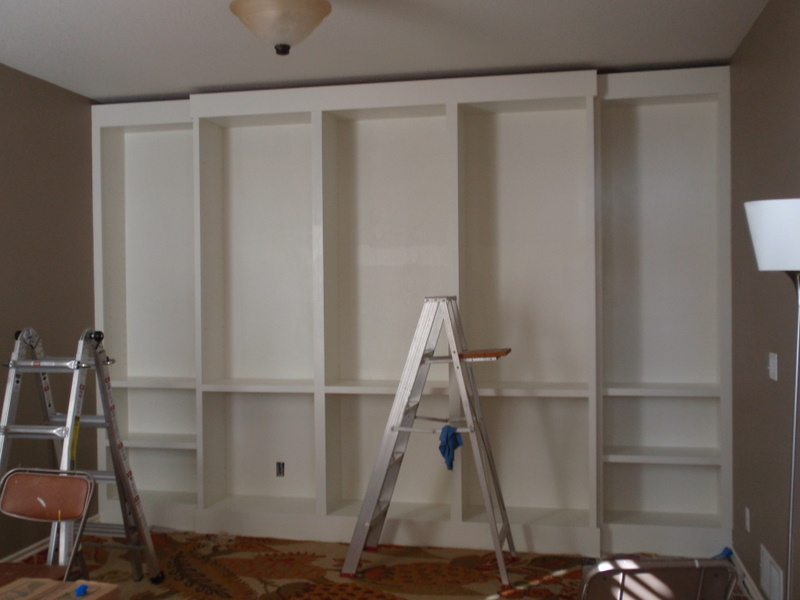 So here are the bookcases mostly complete and the room is back to normal. Just need to add the crown molding next! The baseboard has to be installed (and crown moulding will go on top to take it all the way to the ceiling). 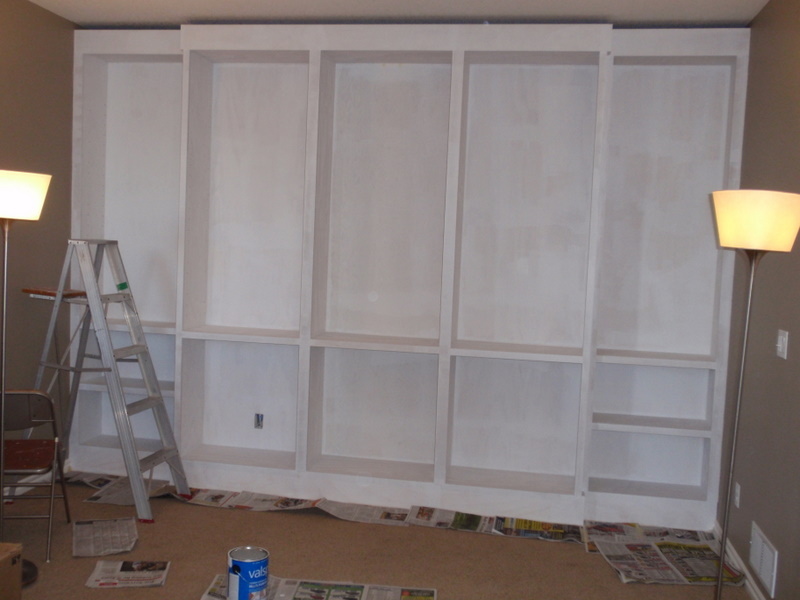 Then we need to prime the whole thing and paint it. 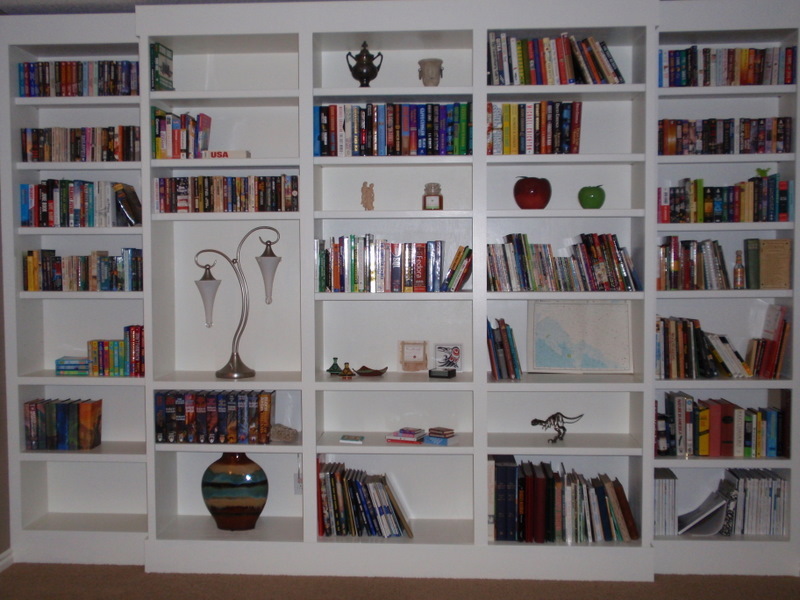 As I mentioned previously, Laura wants a set of bookcases in the new house’s study. We decided to build these ourselves. 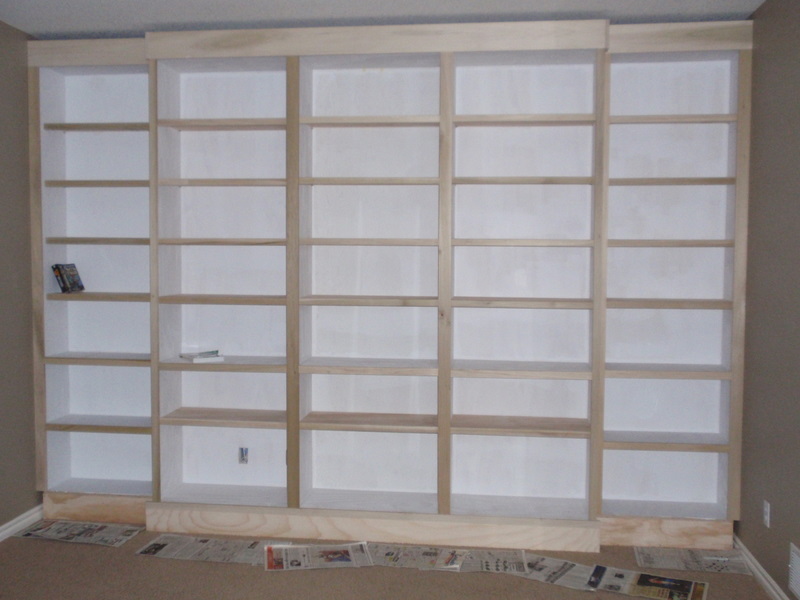 Below is the initial start of the cases: several sheets of plywood have been ripped into lengths for the sides, tops, bottoms, and shelves. 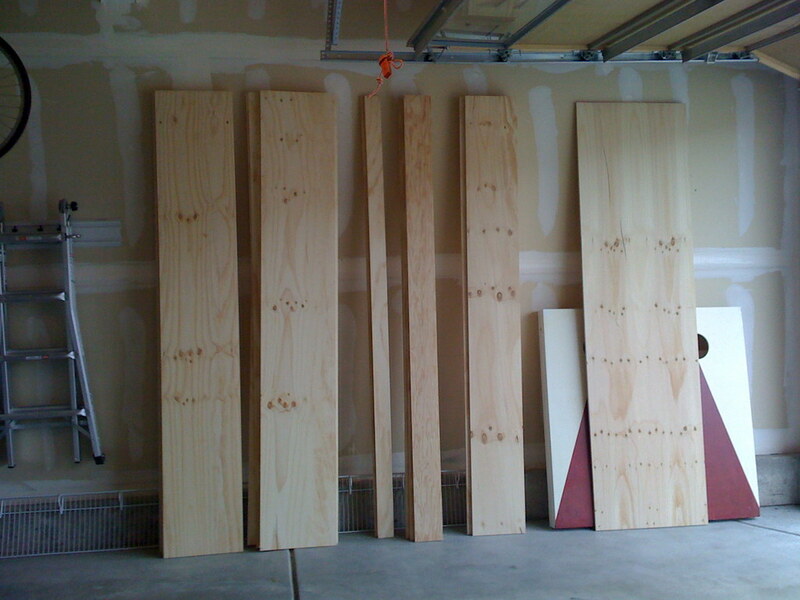 The cases will have poplar frames covering the plywood to provide a nice trim look. 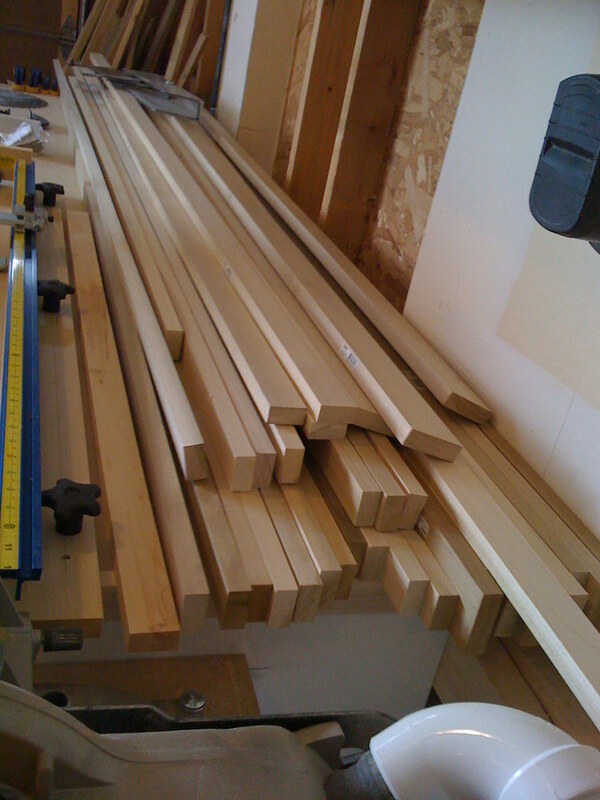 Here’s a lot of that wood stacked on the workbench.